WANT TO ACCESS FISHING SPOTS NO ONE ELSE CAN? We can take you there with our unique range of equipment and expert know how, giving you the chance to land the prized catch! 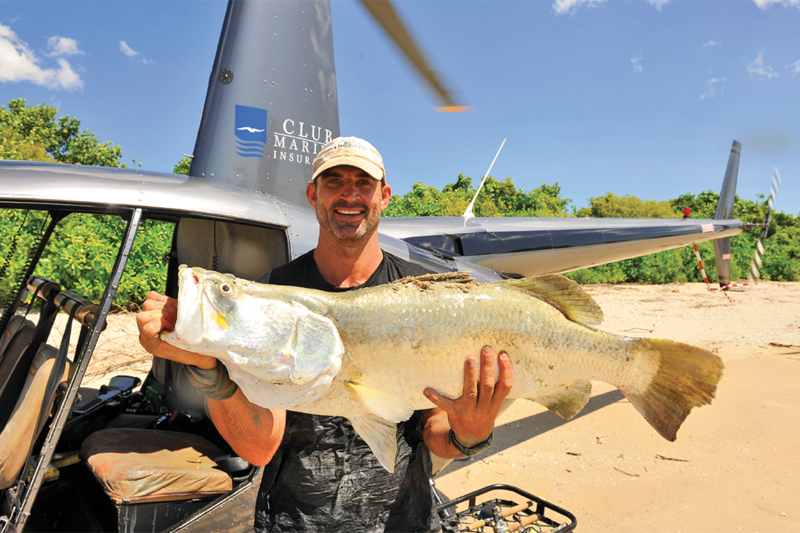 With our high speed catamaran ‘Category Five’ and Robinson R44 helicopters, you will be taken to the best fishing locations in the Top End. You will have the opportunity to target barramundi, jewfish, golden snapper and queenfish to name a few. From hidden freshwater lagoons and rivers, to blue water reefs, this is The Territory’s Premier Helifish Experience overflowing with adventure and memories that will last a lifetime. Get your team together and book your next fishing charter with Outback Floatplane Adventures. Be sure to bring your camera so you can capture all the excitement and beauty of the Top End!